The Historical Association, Gooii, Institute of Physics and the RAF join forces for RAF100. 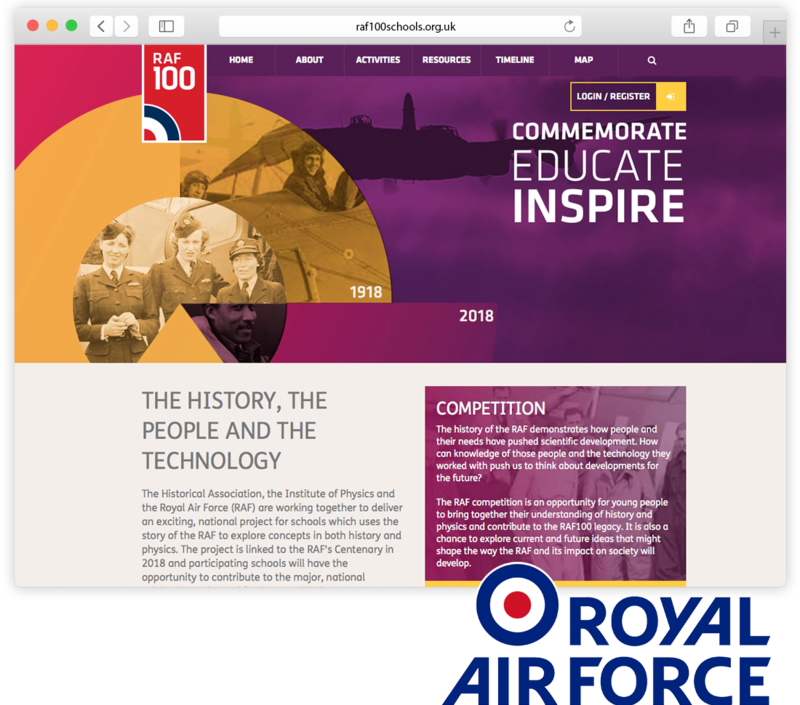 As part of a technical team we worked together to deliver RAF100: an exciting, national website project for schools. It centres around the story of the RAF to explore concepts in both history and physics. The project is linked to the RAF’s Centenary in 2018. Participating schools will have the opportunity to contribute to the major, national celebrations planned for Summer 2018. Schools can perform their own research on their local RAF bases and its activities during this 100 year period. Once complete they can then upload their findings to the website, either text, images or video. Their exciting results are published for all other participants to read. Materials are even logged on interactive maps where viewers can select areas and timelines to filter the results. Design and coded in-house, the RAF 100 site is built using a Laravel PHP backend with a bespoke front end.